This Large 2 bedroom unfurnished apartment is on Level 5 in an exclusive Residental Community which includes the Heritage Listed Yungaba Residences. Open plan living area has bespoke cabinetry with shelving which is complimented by a wall mounted TV. Leading out through floor to ceiling balcony doors is a spacious and "very useable" balcony with views across Heritage Gardens to the River. Fully ducted air-conditioning and access to ultra-fast Telstra Velocity broadband. 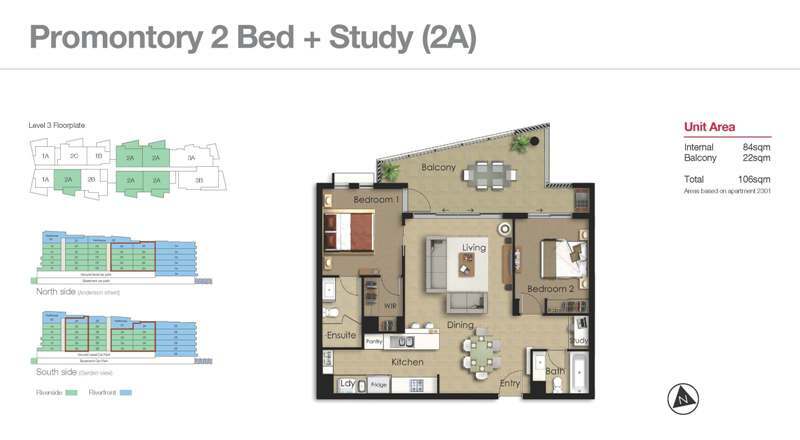 Well-appointed kitchen, separate study nook, and 2 good sized bedrooms designed to offer great air flow and privacy. The Main Bedroom has a walk in robe, ensuite and a wall mounted TV. This apartment comes with a secure car space and a large over bonnet storage unit. A short stroll to both high speed commuter ferry and free ferry across river to the Brisbane CBD! Enjoy living in a complex with security access systems and onsite managers. You will not be disappointed with Yungaba!